We’re excited to invite you to join us for an exciting trip to Southern France and Paris, to walk in the footsteps of Mary Magdalene and be part of the 3 day gypsy celebration in honor of Saint Sara (possibly Mary’s daughter.) We’ll also embrace the rich history of the Cathars, Troubadours and of course, the Knights’ Templar, in place such as Rennes le Chateau, Alet les Bain and Sainte Baume. 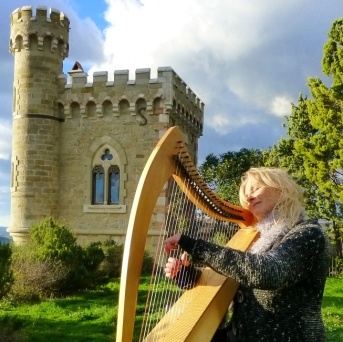 Our tour will be enriched by the musical gifts of our guide Ani Williams, world-renowned harpist and singer, who knows these sacred sites well, recording many of her songs in honor of Mary Magdalene. The final part of the trip will take us to Paris, where we’ll spend a day in Chartres visiting the cathedral and especially its famous labyrinth and then a day in Paris, seeing as much as we can of this magical city. Costs: $5,200 (shared room). Single supplement available. Includes bed & breakfast, some dinners, AC coach throughout South of France, flight to Paris, expert guidance and teachings. International flights not included in cost. Though I did not go to France with expectations, I have certainly come home with great expectations. A life changing trip for me. Thank you to Chris, Leland, and to everyone of you. Truly a privilege to be with each of you. Looking forward to a future adventure with you!